Thousands of people gathered on Sunday to protest against violence during Paris' ongoing yellow vest demonstrations. The counter-demonstration comes as French police investigate how a prominent yellow vest protester suffered a serious eye injury during a demonstration on Saturday. 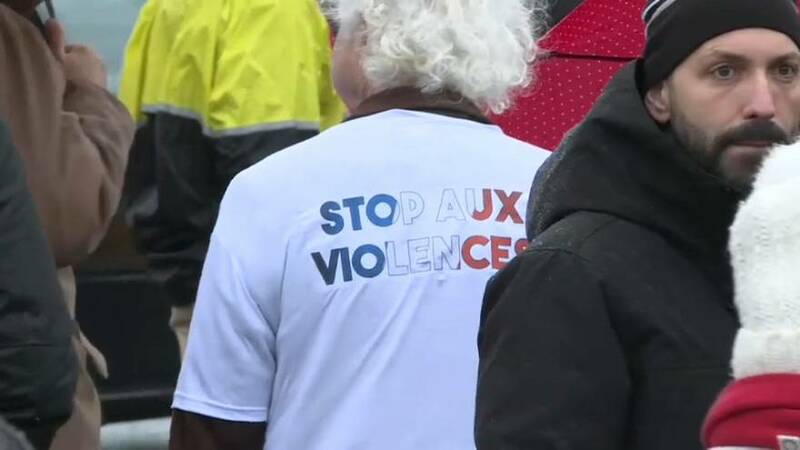 The so-called "red scarves" and "blue vests" groups, which have been funded on social networks, rallied through Paris carrying banners and chanting against the violence. The Royal Canadian Mint presented a commemorative coin on Tuesday to honour "50 years of progress in recognizing the rights of LGBT Canadians," according to a statement released by the organization.